Michael Okoth ORIGI, commonly referred to as Mike ORIGI, is a Kenyan former footballer. Initially playing as a goal keeper he converted to a striker at Shabana in his native country when he was 18, a position that he would feature in for both club and country. He spent most of his professional career in Belgium and is the father to Belgian international footballer anf Liverpool stricker, Divock ORIGI. Mike ORIGI started his football career with Itierio Secondary School from where he was spotted by Shabana. He would feature for Shabana in the Kenyan Super League and at continental level in the African Champions Cup. In 1989 he would join Kenya Breweries (now Tusker). In 1992 he moved to Omani club Al Boshar and after the Africa Cup of Nations K.V. Oostende of the Belgian Second Division. He would experience success with Racing Club Genk winning the 1998–99 Belgian First Division and the 1999-00 Belgian Cup. 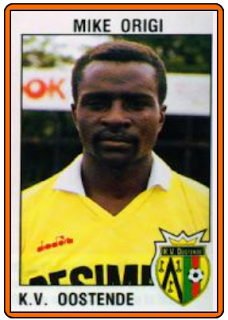 Mike ORIGI would end his career in 2006 playing in the Belgian Third Division with K.S.K. Tongeren and later with Cobox 76. Mike Okoth earned his first international call up in the 1989 CECAFA Cup turning out for a Kenya 'B' team. He would represent the Harambee Stars in the Africa Cup of Nations in 1990, 1992 and 2004. His son Divock ORIGI who plays as a forward for Premier League club Liverpool FC was selected to be part of the Belgium national team for the 2014 FIFA World Cup in Brazil and became the youngest Belgian player ever to score at a World Cup finals when he scored in the 88th minute of a 1–0 win over Russia. 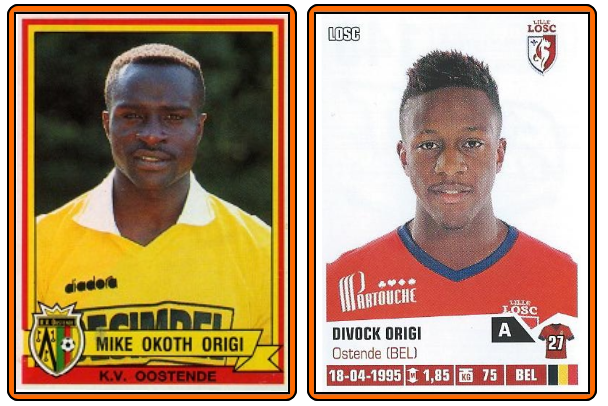 Mike ORIGI with Ostende in 1993-94 and his son with Lille 20 years after in 2013-14. 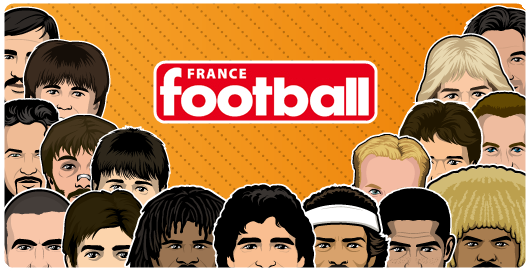 On the Divock ORIGI's french sticker we can see his native city : Ostende where he's father played.